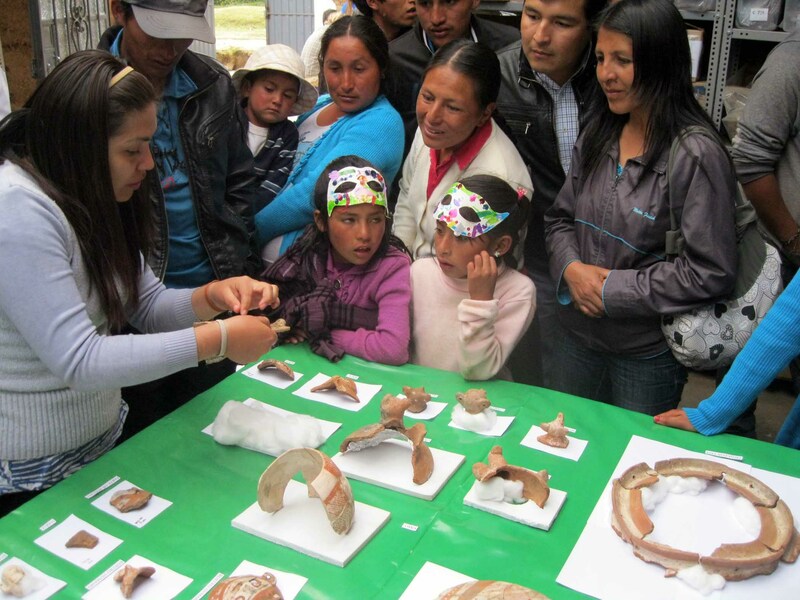 Community residents examine artifacts from this season’s excavations in the “pop-up” museum at the First Annual Cultural Festival of Hualcayán. I have blogged before about the Proyecto de Investigación Arqueológico Regional Ancash (PIARA) community outreach program in Peru. This week I have the opportunity to participate and experience the program firsthand. As well, this week PIARA Directors Rebecca Bria and Elizabeth Cruzado Carranza, and I are discussing collaborative projects that can involve PIARA, the C.H. Nash Museum at Chucalissa, and the University of Memphis Museum Studies Graduate Certificate Program. We envision that these multiple agencies can participate in the co-creation of cultural heritage opportunities with the Hualcayán village and archaeological site. We are discussing projects that can align with the missions of all agencies involved. Hualcayán is located at 3150 masl in the Province of Huaylas, Department of Ancash, Peru flanked by the Cordillera Blanca and Cordillera Negra Mountain ranges in the Callejón de Huaylas valley. The village is a rural agricultural community located in the midst of archaeological sites that span the last 4000 years of human history in the region. Although there is a small museum in the nearby city of Caraz, the region’s cultural heritage is not promoted to its potential and archaeological sites are not protected. In terms of tourism, Caraz and Hualcayán are viewed by most visitors as brief stopovers on their way to adventure tourism and trekking opportunities to lagoons and glacial peaks in the Parque Nacional Huascarán. As discussed in the previous blog post, PIARA’s perspective on the cultural heritage development is in line with a co-creative participatory process with the community. In fact, one of the reasons for the close fit for potential PIARA and C.H. Nash Museum collaborative efforts is the common perspective toward cultural heritage development of the two agencies. Both institutions operate in communities that are generally considered underserved. In the past few years, both organizations embarked on long-term programs of community engagement and empowerment through cultural heritage development. As well, both organizations are situated in rich environs of cultural heritage resources. Another important similarity is that both organizations have spent the past several years laying the groundwork for collaboration with their respective communities. At the C.H. Nash Museum, that work is summarized in a recent article. At PIARA that collaboration operates in a very similar manner. For example, this past Saturday, August 3, PIARA was the initiator and co-sponsor along with the Universidad Nacional Ancash – Santiago Antúnez de Mayolo and the Provincial Municipality of Huaylas of the First Annual Cultural Festival of Hualcayán. The Festival included visits to the ongoing archaeological excavations in Hualcayán, display of excavated cultural materials, the inauguration of the community library funded and built by PIARA, regional dances, local food, and much more. As with the recent community outreach projects at the C.H. Nash Museum, the Festival of Hualcayán could not have happened without PIARA’s previous years of community engagement. That is, without the consistent community outreach by PIARA and engagement over the past several years, there would not have been the collaborative basis on which to build and inspire the Cultural Festival. PIARA views the Festival as a node on a continuum of community outreach and engagement. As at the C.H. Nash Museum, the direction of that outreach and engagement for PIARA will continue to develop as a co-creative process with the Hualcayan community. For example, as posted previously, this summer C.H. Nash Museum intern Lyndsey Pender created the Southwest Memphis Cultural Heritage website only after discussions and collaboration with community residents. Although the broad parameters of website development were set, the precise future content will be based in community discussions and input. The dialogue with PIARA and the Hualcayán community continues along on a similar plane. Which brings me to one of my favorite preaching points – community relevance. As small institutions, both the C.H. Nash Museum and PIARA are gaining traction, growing, and now receive exponentially greater community support than in the past. The increased support results because they approach their work in cultural heritage resource management from a perspective that prioritizes not just the co-creative process, but also is based in an approach that is relevant to the community in which they serve. For the past month the C.H. Nash Museum at Chucalissa held Art for Voice camps. The one-week sessions were age-graded and free of charge. Each group contained a good mix of students representative of the different neighborhoods, racial and economic backgrounds of Memphis. A concern in the original stage of the Camp planning was to stay within the Museum’s Mission Statement. We did not want the Camp simply to be an activity to increase visitation. Instead, the Camp activities drew on the collections curated at the Museum as educational and creative resources. 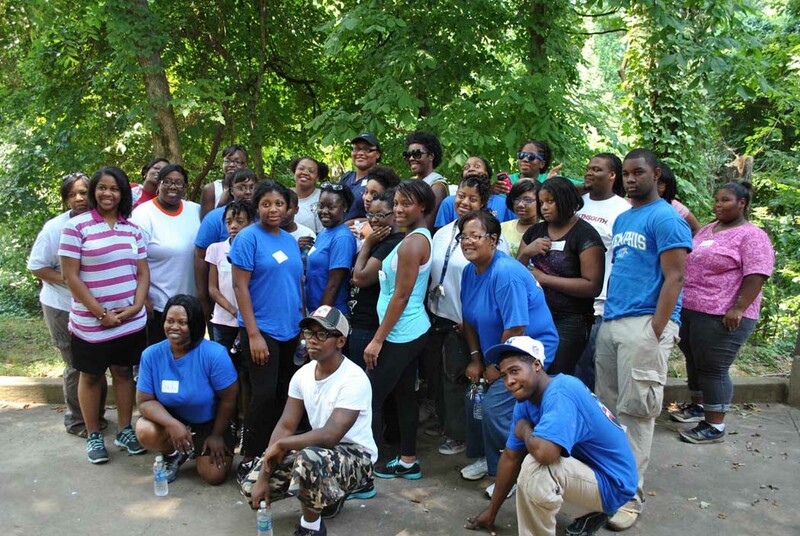 The Camp directly aligned with our mission as a participatory experience for area residents. This past Saturday, Art for Voice Camp creator Penny Dodds and I had a conversation evaluating this “pilot” program and to consider the next steps. Several important themes emerged in our conversation. Opening Authority – A critical part of the Camp activities involved our curated collections and existing programs. Besides a drum circle and throwing darts with atlatls, campers viewed Museum exhibits from the Native American and African American traditional cultures of the area. Based on these experiences, the campers decided the types of objects they wished to use as models to create their artworks. The campers selected suitable objects from our Hands-on Archaeology lab and materials drawn by our Collections Manager from the Museum’s curated educational collections. Although not web-based, these processes are in line with Lori Philips initial discussions of open authority in museums and her more recent article published in Curator. 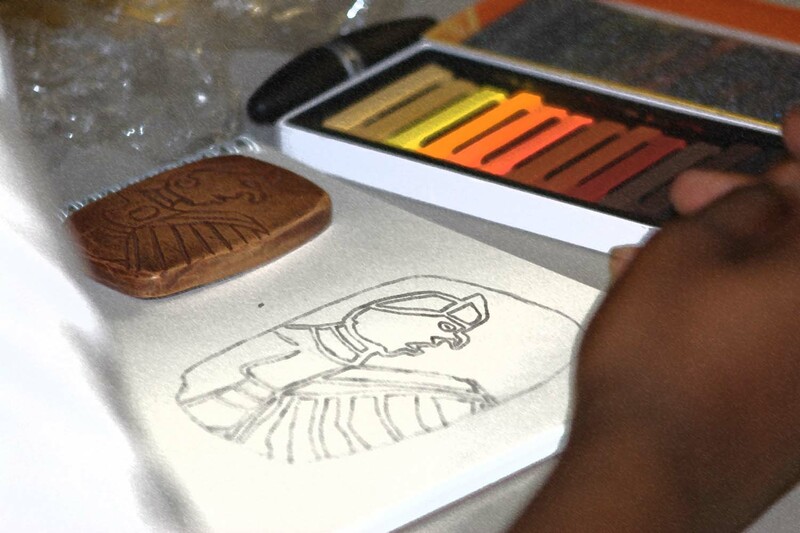 The campers worked with cultural materials of their choosing. With guidance from both a collections manager and artist, the campers ultimately made their own interpretive and creative decisions. As I watched the Camp compilation video where the young artists explained the process, I was reminded of the “aha” moment I had some 20 years ago when validating a 5th grade girl’s interpretation of Poverty Point headless figurines. That is, yes there is a difference between the no touching and static early 1960s introduction to museums of my youth and our 2013 campers throwing darts with atlatls and handling artifacts. But more importantly, the 2013 campers were not just expected to come up with the correct answer or perform the correct action to be rewarded. 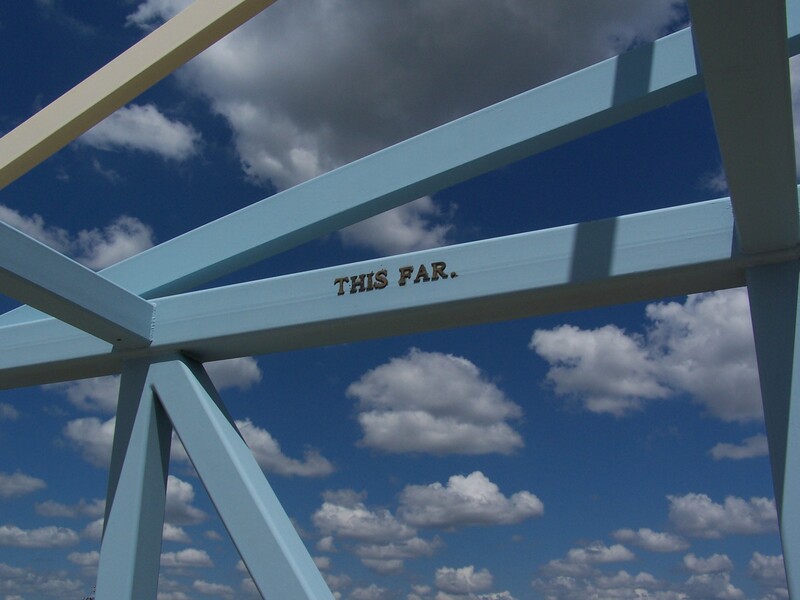 Rather, they engaged in a process where multiple truths and possibilities are considered, along the lines of Parker Palmer’s Interactive Model of the Great Thing. Leadership Development in Museums – None of the principal players in the Art for Voice Camp were regular staff members of the C.H. Nash Museum. Penny, the Camp’s initial creator, led the experience. But by the last week of the Camp, the leadership expanded. Two of the high school students who participated in either the first or second week of the Camp, participated in weeks three, four, and five by assisting with the younger aged sessions. In fact, their transition from campers to leaders was critical to accommodate overflow campers originally placed on a waiting list. As well, two parents of the campers provided their expertise to the sessions by leading drumming circles, sharing their knowledge of traditional medicinal plants growing along the nature trail that campers explored, and general mentoring. The Museum’s summer intern, Lindsey Pender lent her video editing ability and photographic skills to the project. When Penny and I discussed the next steps yesterday afternoon, we recognized that we started with one camp “leader” but ended the session with five identified “leaders” who are anxious to expand on the pilot program. Of importance as well, the youth campers were given authority during the Camp to lead on decisions about free-time learning activities. For example, during one week of the Camp, the participants composed a musical composition that they performed for their parents at the end of the day using the Museum’s plethora of percussion instruments. Empowerment – The Art for Voice camp brought a very public opportunity for empowerment to the fore at our Museum. As an institution of the University of Memphis, we are quite mindful and intentional to empower our interns and graduate assistants. In the past several years, we aggressively moved to empower volunteers incorporating an explicitly participatory museum model into our mission. The Art for Voice Camp, by its very nature, required the proactive empowerment of the participants. Given the parameters of the Camp, participants were required to process, think through, and create from within. In our conversation on Saturday, Penny noted that she had been mindful throughout the process to solicit input from the Camp participants and their parents for ideas on using the Museum in the future as a space for more projects based in curated collections, exhibits, and the 40-acre natural environment. a non-profit, permanent institution in the service of society and its development, open to the public, which acquires, conserves, researches, communicates and exhibits the tangible and intangible heritage of humanity and its environment for the purposes of education, study and enjoyment. How do you envision museum’s opening authority and co-creative processes? The American Alliance of Museums (AAM) has designated August 10 – 17 as Invite Congress to Visit Your Museum Week. The AAM notes that this “work period” is an excellent opportunity to have legislators visit museums to see the role of U.S. cultural heritage institutions as a public resource for education and engagement. This year, the AAM posted a 12-step guide for arranging the visits from the initial invite to thanking the official for their participation. This advocacy event is a simple yet effective means for communicating with the individuals who vote on the funding for many of the programs that support our work. For example, at the C.H. Nash Museum at Chucalissa we benefit directly from the Institute of Museum an Library Service (IMLS) programs, an agency that in the past few years has been considered by some as providing services that are not “core” to the Federal Government. However, for Chucalissa the IMLS services are essential to our operation. Three years ago we received a Connecting to Collections Bookshelf Award that provided over $500.00 worth of best practices literature on a range of museum operations. Our staff regularly consult these books for everything from determining pest control standards to digitizing photos. Over the past three years we participated in both the Institutional and Collections Stewardship components of the Museum Assessment Program (MAP). We applied to take part this fall in the Community Outreach component. Our participation in MAP is essential to our development as an institution. Again, based in the best practice expertise of the IMLS and the AAM, for the MAP process we complete a self-assessment in the component area and are matched with an expert who completes an on-site peer review and evaluation. At Chucalissa, the recommendations of our MAP reviewer proved crucial for the policies and standards we ultimately developed. Our governing board has taken the MAP evaluations very seriously and provided the resources for implementation of key recommendations. Today, our stakeholders recognize the C.H. Nash Museum for the renewed and essential role that we play in our community. Without a doubt, the two federally funded programs noted above are critical to that success. First, museums by definition are nonprofit institutions, charged with presenting and preserving the cultural heritage of a community or interest. That is, like schools and other government agencies, they operate for the community good. For the MAP and Bookshelf examples I note above, organization and dissemination on the national level simply makes sense from both logistical and economic considerations. The expertise that the national organizations such as the IMLS and AAM bring to the local community cannot and would not effectively be replicated locally. Second, the MAP and Bookshelf programs provided our Museum with information and direction to run more efficiently from both mission and economic perspectives. For example, our Institutional MAP provided insights to stream-line and focus the application of our mission. In no small part because of our participation in the MAP program, our annual revenues have increased and we reduced our expenses. We are now more “grant ready” to seek and receive added outside funding. We have set a goal of creating an institution that going forward will be sustainable. So, if we ask ‘is the community more likely to vote for public funding and find relevance in our institution in 2007 or today,’ the answer is obvious. Federally funded programs have helped us develop that relevance. Telling that story of relevance to our elected officials allows them to have a complete picture not just to impact their funding decisions, but to become a part of the story they tell and highlight from their districts. How will your cultural heritage institution take part in Invite Congress to Visit Your Museum Week? The second of two banners presented by Delta 9 Team of AmeriCorps NCCC at September 11, 2012 Remembrance Day event at the Charles Powell Community Center in Southwest Memphis. Three years ago at the C.H. Nash Museum at Chucalissa we began a co-created exhibit process on the African-American Cultural Heritage of the community surrounding the museum. A Strengthening Communities Initiative grant funded the initial phase of the work. I have posted before about the project. A recent article published in Museums and Social Issues summarizes that work and subsequent related projects. This summer we have taken another step in the co-creation of the exhibit initially created and installed by area high school students in the summer of 2010. For the past year we discussed digitizing the 2010 exhibit. A goal was to create a website with the digitized content to use as a resource for presenting and collecting more information on the cultural heritage of the community. This past spring I was approached by a community resident, Lyndsey Pender, who is also an undergraduate in anthropology at Western Kentucky University in Bowling Green. Lyndsey asked if there was a summer internship opportunity at the C.H. Nash Museum. We quickly settled on a project where she would digitize the exhibit and create the website. That story is told here. We are fortunate that Lyndsey, as a community resident, is taking on the project. Yet the broader representation of the community in the process is critical. Thus far, Lyndsey and museum staff participated in three formal meetings with representatives and/or the general membership of the Westwood Neighborhood Association to discuss the next steps. Besides overall content, the meetings addressed issues such as maintenance of the website, the relationship of the website to the C.H. Nash Museum, and the curation of future content. As with the initial exhibit created in 2010, the Museum Staff is committed to providing the logistical support for sustaining the African-American Cultural Heritage in Southwest Memphis website, and will cross-link through the Museum’s website and other social media outlets. However, the scope of the content will rest on the decisions of the Southwest Memphis community. At the Westwood Neighborhood Association meeting this past Saturday, community residents in attendance provided a host of suggestions and submissions for the website. Ms. Olar Hughes presented a 10-page document she and other residents created on the history of the Westwood Community. On September 11, 2012 the AmeriCorps NCCC Team working in Westwood presented banners celebrating the contributions of military veterans from the community. Since that presentation, community residents have submitted additional Veteran photos. On Saturday, we discussed creating a page on the website that would contain a slide show honoring all the veterans. Participants in the Saturday meeting recognized the valuable role that the website could play in the community schools where information on neighborhood history is scant. We envision that high school and younger students will be able to use and add to the website over the course of their studies. Lyndsey will finish her work this summer by creating quizzes and a virtual scavenger hunt based on the website to be used in the schools. The above processes directly address concerns often expressed around the lack of direct community engagement in museums. The appropriate mantra in recognizing the solution seems to be it’s a “process not event” in co-creating with museum partners. That is, today our museum staff and Westwood community residents see tremendous potential in the African-American Cultural Heritage in Southwest Memphis website. However, the discussion at this past Saturday’s community meeting could not have occurred, had we not gone through the past four years of co-creation. How do you envision co-creation in your museum? When it comes to methods and processes, I am a fan of lots of short focused articles that present multiple perspectives. For example, the Small Museum Toolkit consists of six short topical volumes on a range of museum issues from leadership to exhibits and all points between. The Toolkit is particularly helpful because each volume chapter introduces the essence to a specific area but also points to resources for further research and study. I find such Toolkits, like the Technical Leaflets in each issue of History News from the American Association of State and Local History, essential authoritative introductions on a range of practices, particularly for those of us in smaller institutions who wear many hats. 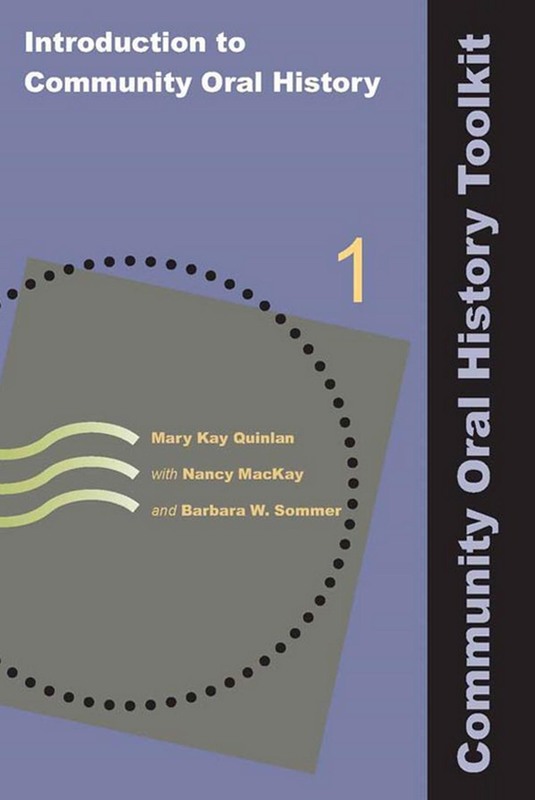 With this perspective in mind, I anxiously awaited the release of the Community Oral History Toolkit written by Nancy MacKay, Mary Kay Quinlan, and Barbara W. Sommer, published this spring by Left Coast Press. The Toolkit is composed of five 150-page volumes. Oral history projects are certainly nothing new but they continue to move more fully to center stage in community cultural heritage projects. For example, consider the Power of Story theme of the recent American Alliance of Museums Annual Meeting in Baltimore. A fundamental knowledge of oral history process is essential particularly for the cultural heritage professional in a small museum environment. 1998 photo from coffee finca in Los Naranjos Honduras of Billy Pilgrim (?) (right) who worked with James Ford at Poverty Point in 1950s. From my own archaeological experience, I can recall many occasions when collecting oral history’s would have been helpful. 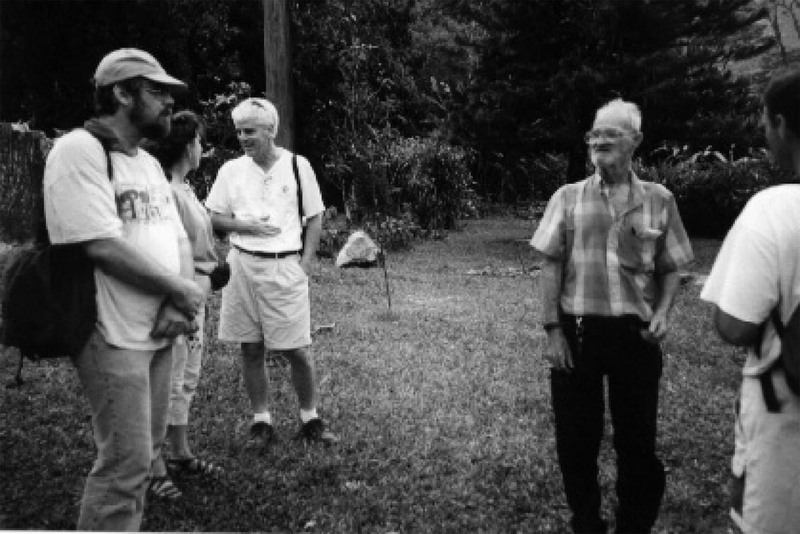 For example, during my tenure in the 1990s as the Station Archaeologist at the Poverty Point site in Northeast Louisiana, I came into contact with at least three individuals who worked on field crews directed by James Ford in the early 1950s during the first excavations at this premier prehistoric earthwork complex. Many of the activities from this period at Poverty Point, now under consideration as a World Heritage Site, are based on third-hand here-say. One of the individuals who worked with Ford I met in a completely chance encounter while visiting a coffee finca in Honduras. This Central American connection (above photo) is a story in itself. I regret that the few notes I scribbled in my journal in 1998 were lost during the trip. Today, I am not even certain of the gentleman’s name. But his memory of the events that had occurred 45 years earlier were remarkably intact. Introduction to Community Oral History – In eight chapters the authors offer summary introductions on a range of topics necessary to consider before planning an oral history project. The topics include simply defining oral history, an outline of basic steps in an oral history project, and ethical considerations. The volume also introduces ten best practices in oral history projects that are focus of each chapter throughout the Toolkit. The volume includes a 20-page appendix of sample forms to help conceptualize the project, obtain interviewee agreement and more. A 15-page guide for resources, most of which are online, complete the volume. Planning a Community History Project – Seven chapters detail several of the processes introduced in the first volume. The topics include project design, equipment needs, and project funding. Again, the appendices are important assets to the volume. For example, a list of recording equipment standards will prove helpful to the novice and more experienced practitioner who need a refresher in best practices. Managing a Community Oral History Project – This volume covers many of the same topics as the previous volume but moves from planning to implementation. There is a bit of overlap between the two volumes that is the only real short-coming I found in the Toolkit. As with the preceding volumes, the discussion is based in case studies with sample forms and links to further resources. Interviewing in Community Oral History – Although tempting to start with this volume as the meat of the matter, the strength of the Toolkit is the sequential presentation in the volumes. That is, a review and understanding of the first three volumes in the Toolkit inform on the actual interview process from the questions asked and topics discussed to selecting the interviewees and interviewers. Consistent with the entire Toolkit this volume includes best practices such as timeframe for interviews, checking recording quality, and arranging for transcriptions. After the Interview in Community Oral History – This volume builds directly on the previous four to complete a solid conceptual framework for oral history projects. This final volume in the Toolkit covers topics such as processing the interviews, record keeping, and choices in the transcription. The volume also details decisions that must be made around cataloging, storage, access, and interview preservation. A 20-page volume chapter discusses alternative methods for the public presentation of the oral history interviews. The Community Oral History Toolkit is a comprehensive introduction to the field. In any research focus, one could fill bookshelves with volumes on the subject. However, for those working, volunteering, or studying in the cultural heritage field the Toolkit provides a solid foundation on which to conduct oral history projects. I particularly like the Toolkit’s staged or sequential approach. As someone who has written my share of institutional review board proposals for interviews and gone on to conduct that research, I intend to use the Toolkit as the foundation for future projects. I am confident in so doing, I will be able to assure that the oral history interviews will better address the project goals. I am also confident that with better planning, the interviews will not end up only in file drawers, but will be used to maximize their role in cultural heritage preservation and presentation. 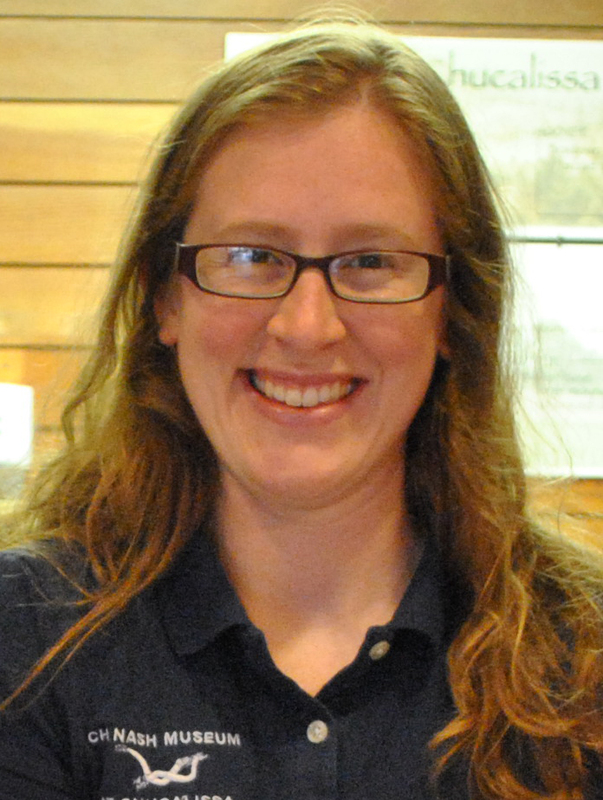 In the last post I highlighted the team members of the River 7 AmeriCorps NCCC Team, hosted by the C.H. Nash Museum at Chucalissa for eight weeks this spring. I have posted before on the role of AmeriCorps NCCC Teams as a means for community outreach in museum contexts. 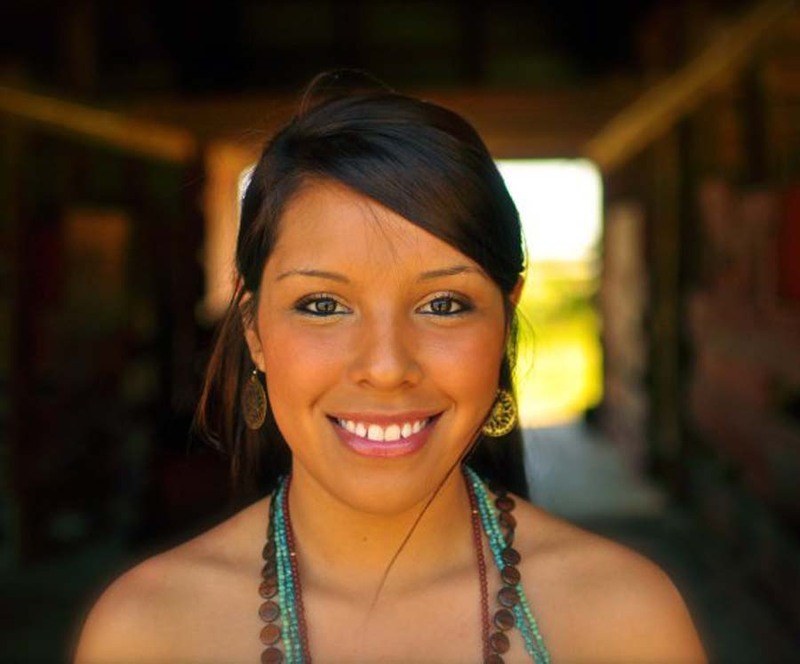 For this week’s post I highlight Ana Rea, the Team Leader for River 7. I thoroughly enjoyed working with Ana during the Team’s round here in Memphis. She exemplifies the best of the millennial generation’s commitment to service and living into the solutions. Ana will be leading the River 7 NCCC Team next in Gainesville Florida and then in West Virginia at the Boy Scout Jamboree. If you are in those areas, track down Ana and her team members to see an excellent example of community service in action. My name is Ana Rea and I was raised and had lived in Greenville, TX since the age of 9 and had never left my small town until I joined AmeriCorps NCCC. After attending Texas A&M-Commerce for one year I decided to take a break and really discover what it was that I wanted to do with my future. I began working at a local dance studio where I became heavily involved in community engagement and community service. Part of my duty as the office administrator was to find opportunities for our dance competition group to be involved with serving others. Annually, Academy of Dance, Music, and Theatre, the studio I worked for, hosted a benefit dance gala that donated all proceeds to the local non-profit organization C.A.S.A. (Court Appointed Special Advocates). C.A.S.A. is an organization that provides advocates for abused and neglected children so that they may thrive in a safe and loving home. I found myself looking forward to this event every year as I was in charge of planning and supervising every aspect of the event. Knowing that I was putting together an event that would help children live in a safe environment was my inspiration to making the event a success every year. That’s when I began to discover what my passion was; helping those less fortunate and community service. After a few years of working at the studio and having some experience in planning benefit events, my family and I decided to create our own fundraiser. We involved the community in celebrating International Day of Peace with various activities like a “Soccer for Peace” tournament, fun activities for the kids, music, food, and a raffle with donated items from local businesses and the renowned Major League Soccer team FC Dallas. The event was a success and we were able to raise a monetary donation for C.A.S.A. to promote peace in children’s homes. Again, an event like the one my family and I put together really solidified what I was meant to do. I began the search for volunteer programs that could give me a better understanding of what I aspire to in a career. That’s when I found AmeriCorps NCCC. This program was very appealing not only in the sense of being able to serve others but in the fact that it is a domestic program that helps communities all over the United States. I was born and raised in Mexico City until the age of 9 when my family decided to move to the U.S. I wanted to begin my journey of “paying it forward” in the country that I now call home, the country that has given me so many opportunities for success and the country that has made me the person who I am today. 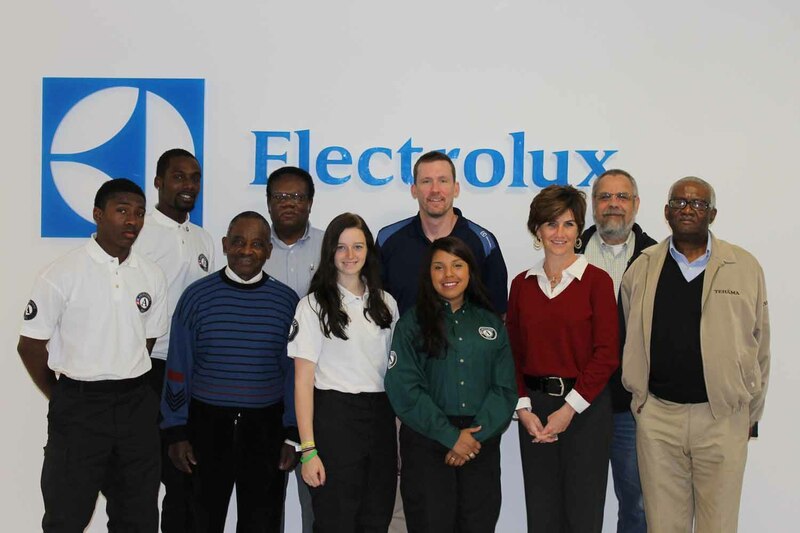 Ana with three River 7 Team Members (white shirts), Southwest Memphis community residents, and Electrolux officials who provided financial and volunteer support to the River 7 projects. It would only be fair that I served my home first. I am currently serving in my second year of AmeriCorps NCCC Southern Region as a team leader for River 7 and so far, I have been privileged enough to serve in the states of Tennessee, West Virginia, Virginia, Kentucky, Louisiana, Mississippi and Texas. Some of the projects that I have been part of include disaster response for Hurricane Isaac, the Hattiesburg tornado, energy conservation work with Greenlight New Orleans, environmental stewardship projects in mountain top removal sites in the Appalachian mountains, rebuilding homes after Hurricane Katrina and currently working with the C.H. Nash Museum at Chucalissa, the Westwood Neighborhood Association and T.O. Fuller State Park in Memphis, Tennessee. I plan on continuing the path of service to others with an open mind and learning something new every day. Put yourself in the position of John or Josephine Q. Public. In the current economic chaos, the bank is foreclosing on their home, they have lost their jobs, and the city just reduced their public services. In referring to the National Endowment for the Arts and the Institute of Museum and Library Services, the House Budget Committee recently arguedthat “The activities and content funded by these agencies…are generally enjoyed by people of higher income levels, making them a wealth transfer from poorer to wealthier citizens.” Isn’t your research or the position you aspire to as a museum professional just another example of this wealth transfer? What do John and Josephine Q. Public get for their tax dollars that fund your research/position? Our world is rapidly changing due to globalization and modernization. Cities are shifting, economies are collapsing, and violence threatens us daily. Citizens often question the value of museums and the government entities that support them such as the National Endowment for the Arts and the Institute of Museum and Library Services. It is often said that museums are places for the elite, making these taxpayer-funded organizations doing a wealth transfer. However, I would argue that this is not true. Museums have historically been viewed as places for the elite, but that model is shifting towards a new museum that is more participatory and engaging. Additionally, museums offer many services to the public that do not benefit only the elite or wealthy citizens, such as educating youth and protecting natural resources. As an emerging museum professional, my work in museums is not a wealth transfer and the benefits that John and Josephine Q. Public get for their tax dollars are immense and real. The shift of demographics in America has been reflected in museums. The United States is now a majority-minority population and is becoming more diverse daily. In museums, people of color and low socio-economic status have not always felt welcome due to the stigma of museums as places for the elite. However, many programs have been instituted that are shifting the visitation of museums. The Center for the Future of Museums publishes a state of museums article that details the various ways museums are reaching out to increasingly diverse audiences. Museums are adding front-line staff that speak multiple languages, offering free or reduced admission to visitors receiving public assistance, conducting outreach into areas that have historically not been museum visitors, and many other things. This is one way that museums are not simply enjoyed by people of higher income. As an emerging museum education professional, my job is to educate youth and adults on a variety of topics. Similar to a teacher, I must provide an engaging and stimulating learning environment that builds on core curriculum standards. As a museum educator, I feel that my job is a public servants job, just like a teacher would be. In addition, I would argue that other museum professionals such as collections managers are also public servants by protecting the natural and cultural resources of our nation. Although at this time, I do not know where my career will end up in museums, I can say with certainty that my position is not just another example of this wealth transfer. At Chucalissa, I have provided quality educational programming to thousands of students in my two years at the museum. John and Josephine Q. Public directly benefit from this through having students graduate more prepared, more engaged, and ready to enter the workforce. In addition, I have assisted with community outreach projects that help with community development projects that make Memphis a better and healthier place to live. My future career in museums is not set, but my plans include projects similar to the ones I have conducted at Chucalissa. In addition, my long-term goal is to operate a science museum that focuses on providing STEM education to underserved students. This will help to provide a better prepared workforce in our world that is increasingly reliant on technology. My partner in this project has a PhD in Materials Chemistry from CU-Boulder. Together, we have applied to the National Science Foundation for a Graduate School Innovation Challenge to present a model of service learning and outreach for STEM education through museums. I have thought a good bit about volunteering lately, in part because of the evolution in how this process works at the C.H. Nash Museum at Chucalissa. I posted before about our Museum’s irregular staff that includes a range of volunteers, student interns, and community service participants. In the past year we saw a stagnation in our traditional once-a-month type volunteer program but a radical growth in the other components of our “irregular staff” category. For example, our traditional Volunteer Saturdays now have a more modest attendance than two years ago. At the same time, in 2012 the real hours contributed at Chucalissa by the total of these irregular staff continued to increase (@8500) and exceeded that of the regular staff (@8000). is generally considered an altruistic activity and is intended to promote good or improve human quality of life. In return, this activity produces a feeling of self-worth and respect; however, there is no financial gain. Volunteering is also renowned for skill development, socialization, and fun. It is also intended to make contacts for possible employment. Many volunteers are specifically trained in the areas they work . . . The flipping of roles makes the museum responsible for addressing the public needs whose cultural heritage the museum presents and preserves. In this capacity, it becomes incumbant upon the museum to provide opportunities for volunteering that align with how the public organize their volunteering capacity. Avocational Organizations – I previously posted about the work of Memphis Archaeological and Geological Society. Also, for nearly ten years the Southwind Garden Club has planted seasonal floral arrangements at the museum. In a two-year effort, the Club created an arboretum at the site with plans for expansion in the coming months. Over a similar period, the Friends of Chucalissa provided integral support in coordinating special events and fundraising for the Museum. Particularly as the public pursuit of informal lifelong learning continues to grow, avocational and social groups will expand their outreach for volunteering opportunities. Scout Youth Groups – Through both regular volunteer service activities and program requirements, Boy and Girl Scout groups have built, painted, or maintained a variety of facilities, both large and small at our Museum. We maintain a regular list of possible projects for these groups to choose from. As youth discretionary time becomes more structured with a host of competing activities, we might expect that youth groups will continue as a primary outlet to experience volunteering in the formative years. Community Service Learning – Through programs such as the University of Memphis Emerging Leaders, area high schools, alternative spring breaks, students at all levels take part in curriculum-based volunteer activities that last for anywhere from 2 hours to several days in length. This type of volunteering proved instrumental in creating our medicinal plant sanctuary, landscaping at the Museum, exhibit creation, and in community outreach/cleanup projects. Community service/learning continues to increase both informally and through formal educational curriculum with no evidence of reaching a plateau anytime soon. The above examples can be less predictable than recruiting the traditional volunteer docent who will show up like clockwork every other Tuesday and Saturday. However, in the same way that to remain relevant to the public that we serve, museums are shifting more to family programs in response to the reduction in the school “field trip” experience, we must also provide new and creative volunteer opportunities that are relevant to the public needs. Without a doubt, the most exciting conferences I have attended for the past two years are the Volunteer Tennessee Annual Meetings that explores many of these possibilities. I will post about one of my favorites, the The Corporation for National and Community Service, separately. What innovations have you incorporated into your volunteer programs? What to do with all of those surface collections. . .
We created binders with about 75 pages of xeroxed readings that included a 1954 article from the Tennessee Historic Society on work that the MAGS performed at Chucalissa in the early 1950s; an Archaeology 101 type article from the Archaeological Institute of America; an introduction to projectile point analysis; a chapter on stone tool analysis from a regional site report; two introductory articles on museum exhibit design; and a glossary of archaeological terms. When we distributed the binders on Saturday we let folks know the readings were not homework but rather an information source as we continue into the project. We expected that either we would provide or the participants would come across other articles and information to add to the binders through time. For about half of the four-hour session on Saturday we talked about what we intended for the long-term scope of the project. We toured the repository and noted the materials we curated that had never been analysed or reported to the public. The participants realized that they had plenty of “job security” for this monthly activity. We then discussed the 5000 surface collected artifacts from Lincoln County that we proposed analyzing in our first project. I reported on this collection in a previous post. This past week I contacted the Lincoln County Museum in Fayetteville Tennessee to see if they were interested in having an exhibit on these collections. We had a very interesting conversation. I spoke to Farris Beasley one of the directors of the Museum. Dr. Beasley is also the veterinarian who treated the cattle of the farmer, Fred Jobe, who donated the collection to the C.H. Nash Museum in 1981. Mr. Jobe passed away last November. Coincidentally the Jobe farmhouse, built in the early 1800s, was being sold that very weekend. Dr. Beasley noted the farm’s connection to land grants from the Revolutionary War period, that Mr. Jobe had been a minor league baseball player, and then asked “How did those artifacts get to Memphis?” to which I did not have a good response. Our conversation ended with an invitation for me to attend a Museum Board of Directors meeting to discuss installing an exhibit on the Jobe farm artifacts. This past Saturday our MAGS group began to brainstorm what such an exhibit might include. They considered the type of information and artifacts to include in the exhibit. What would museum visitors want to know about the artifacts and the prehistory of the area? The MAGS group concluded there is a need to show how the stone tools we often think of as arrow heads were actually used for many purposes. We discussed how different raw materials indicated the Native Americans who lived two thousand years ago on what became Mr. Jobe’s farm participated in a trade and exchange network – and more. We discussed that the exhibit might be limited by the space available in the Lincoln County Museum. The MAGS group also suggested they do some research and create a tri-fold information sheet on the prehistory of Lincoln County. As well, one participant suggested that we could create traveling trunk exhibits from the Jobe farm surface collections for area schools. We ended our first meeting by discussing where the participants would like the sessions to go in the future. Everyone agreed that the general direction we were pursuing was a good one. I really enjoy seeing the direction that the MAGS members want to take the exhibit. Too often, museum professionals and archaeologists can get bogged down in typology and other factors of limited interest to museum visitors and forget about that intrinsic wonder that first attracted them to their careers. My conversation with Dr. Beasley at the Lincoln County Museum added a sense of engagement that further ties the prehistoric materials to the community memory, linking the historic with the prehistoric. Perhaps of greatest importance is recognizing that the hundreds of thousands of surface collected artifacts in our nation’s museum repositories that are only provenienced to a farm field or even a county and judged of little “research” interest can take on a new life. The volunteer work and brainstorming from our small MAGS group this past Saturday demonstrated the very real potential of these collections. Also, think of the value of a small acknowledgement in such an exhibit “that the Memphis Archaeological and Geological Society created the exhibit from collections curated at the C.H. Nash Museum at Chucalissa.” Such an understanding raises the relevance of our cultural heritage institutions in service to the very public who fund these public facilities. I suggest that activities such as our MAGS group meeting this past Saturday are some of the most effective responses to the American Digger type mentality. How can the surface collections you curate be put to more effective use?